Giveaway!! Get Gluten Free Delivered Right to Your Door with Send Me Gluten FREE! 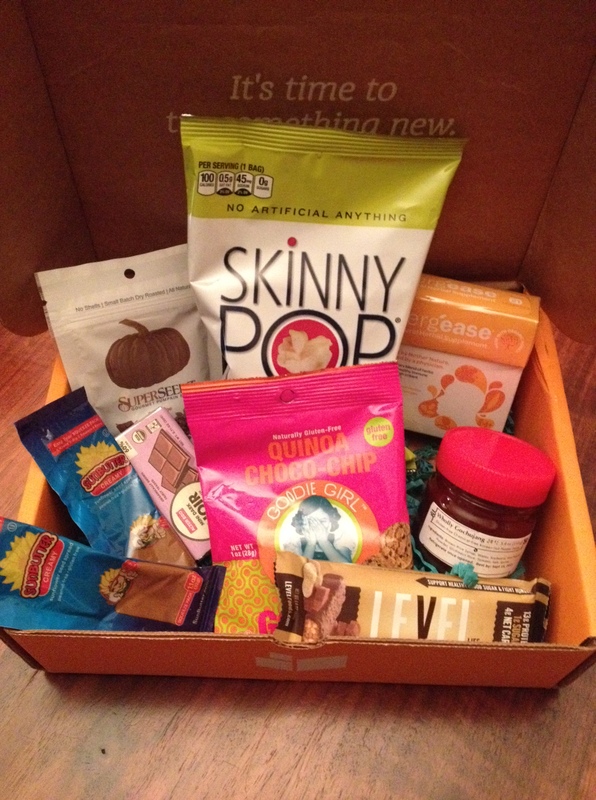 I am a fan of trying new things and I love getting surprises in the mail, so when I heard about Send Me Gluten Free, I immediately checked them out! Send Me Gluten Free is a monthly subscription service that introduces you to new gluten free products. The company was kind enough to send me a sample box (just like I would get if I had a subscription to their service). I didn’t want to describe/review the individual products I was sent, because they vary so much in individual boxes each month, but I will tell you that I enjoyed everything in the box, and there were even coupons/offers in the box along with the products. I want to thank the people at Send Me Gluten Free, as they must be mind readers! Along with the assortment of products, I also received an envelope in the box containing coupons good for gluten free products. I’ll definitely be using the one for SunButter spread. Soooo, the Send Me Gluten Free subscriptions range from month-to-month, 3 months, 6 months and 12 months (the 3, 6, and 12 months are prepaid in advance, and offer discounted rates that increase the discount the longer you commit to the service). 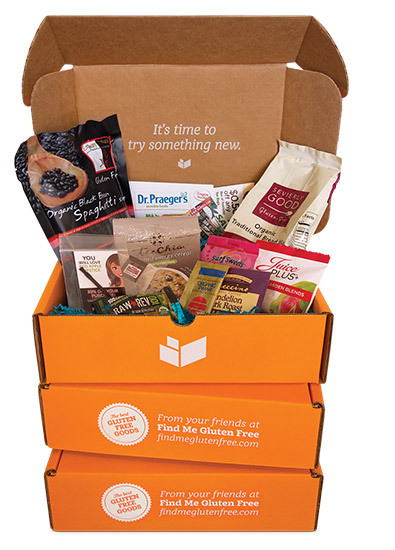 Each month, your box will contain 8-10 new gluten free products. You’ll get both full-size and sample size food, personal care items, supplements and household products that support your gluten free lifestyle. Your chosen subscription will automatically renew, but you can cancel at any time. You box will ship on the first Monday of each month. Send Me Gluten Free requires all of their brand partners to be certified gluten-free or tested to the FDA standard of less than 20 parts per million. You can find Send Me Gluten FREE on Facebook here and follow them on Twitter here. 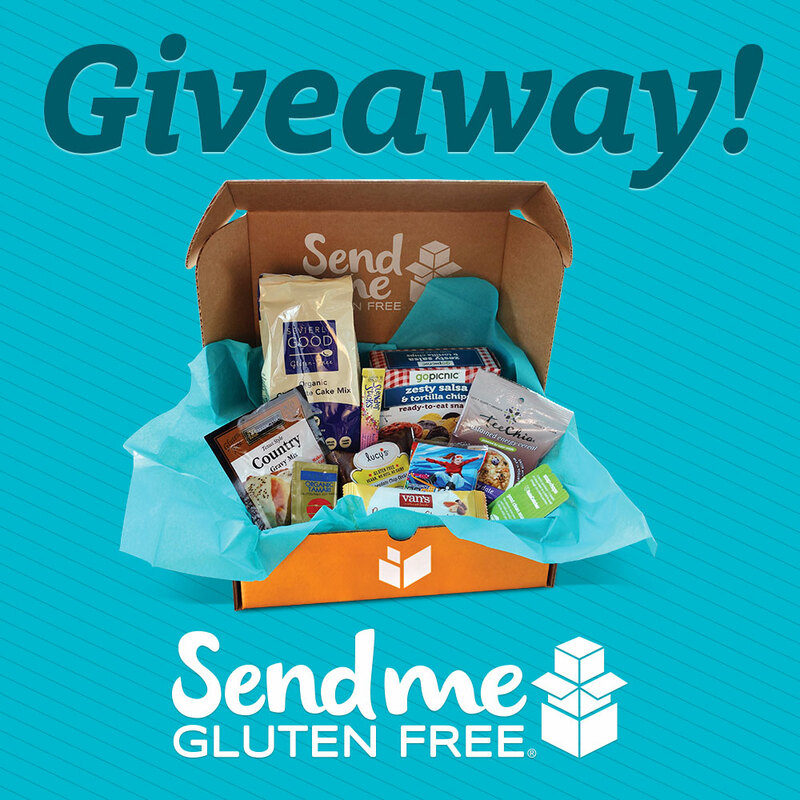 Would you like to try a sample box from Send Me Gluten Free? You can enter to WIN one by commenting below AND sharing this post on Facebook with your friends. In your comment, please answer these questions: Why did you go gluten free & what is your favorite gluten free snack? Also, let me know in the comments that your shared with your friends and please tag cavegrrl.com when you do. Contest lasts until the end of April, and I will pick a winner at random. Below is an example of the type of products found in a box, not the actual contents of what the winner will receive. It changes every month, that’s the fun of it! PS!! : If you decide to subscribe, Cavegrrl.com readers can get a 20% off an subscription length by using discount code BLOG20 at checkout. This entry was posted on April 20, 2015 by cavegrrl. It was filed under Uncategorized and was tagged with coupons, discount code, giveaway, gluten free, healthy, mail order, Send Me Gluten Free, snacks, Sunbutter. I have been GF since 2009! I would love to win this box!